Following up on BlackProGen LIVE’s Episode #31: People of Color in the Northeast and New Jersey, I offer a brief compilation of archival websites that can be helpful for locating additional details for genealogy and family history of Latinx & Caribbean POC in New York and New Jersey. Over time, as archives develop along with the growth of communities, a variety of materials can be located within state and city library systems, universities and institutions. New York and New Jersey have a number of significant archival repositories, of which some collections can be searched on line, and to gain the most, arrange for an in-person visit. Plan to check them out after exhausting initial sources such as census and vital records. Migration occurs in waves: interviewing elders and others within your family network may ease the process of where to look for records, and determining when ancestors turn up in a given location. During the nineteenth and early-mid twentieth centuries, voluntary migration began, and metropolitan areas offered opportunities for work, housing and education that many moved to, in hope of bettering their family’s situation, if not simply to resolve issues of flat out survival. This cycle was driven by the needs of labor and industry, and people clustered in small overlapping ethnic communities. Upheaval of a system, whether due to war, political instability or economic collapse can be part of the larger context of why ancestors moved to New York, New Jersey and other locations. Understanding this larger context will help you as you write your family history. 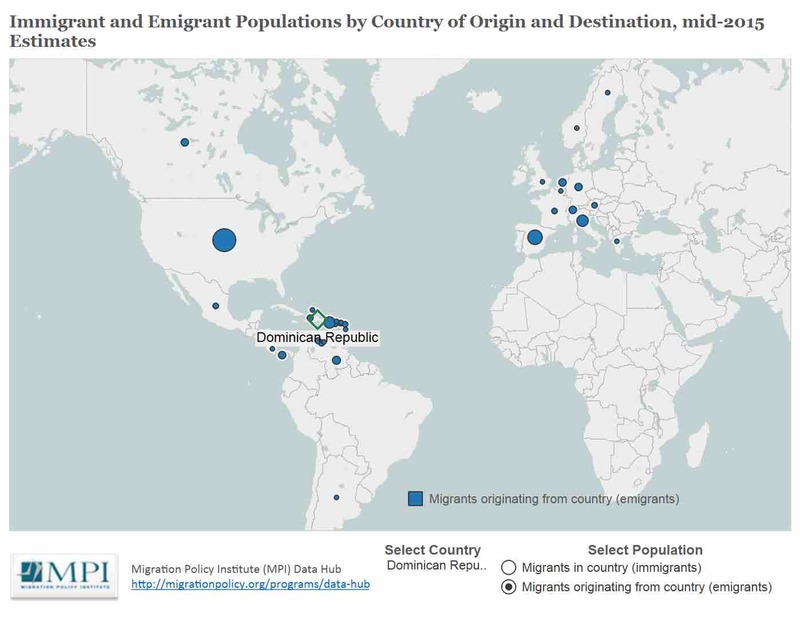 Outward migration for the Dominican Republic from the MigrationPolicy.org site- note that locations are worldwide. Each country’s history varies in terms of who and why different groups of people arrived and departed its shores. The reasons why can give additional clues for tracing your family’s movement across the globe. Note that diasporic movement of populations means potential family connections can extend worldwide. Take a look at the interactive map on Migration Information – it provides information on contemporary migrations by country, depicted on maps, along with reports on different populations. Although dated, this 112 page guide provides details on archival holdings around the state. Also has appendices organized by topic, includes correctional facilities, various institutions. Check against more recent listings as a number of collections were augmented since it was compiled, and may also have websites. Largest repository of primary and secondary source materials and collections about Puerto Ricans in the United States. https://centropr.hunter.cuny.edu/sites/default/files/faids/pdf/OGPRUS.pdfThis 88 page guide in English and Spanish, includes community organizations, education programs 1943-1989, applications for Certificates of Identification 1930-1989, needed for Puerto Ricans to work in NYC. Note: the application records can include photographs and thumbprints. As discussed on the program, if there are activists among your ancestors, then it’s likely that there are records from government agencies such as the FBI. Also, there’s a 1938 digitized manuscript, “Influence of the Haitian Revolution on N.Y”., also at the Schomburg, along with other archival materials from the Caribbean. Also has Livestream events for new books, and a podcast. Toll-free: 1-866-840-1752 or 212-401-1620Has historically relevant archives for federal agencies and courts of New Jersey, New York, Puerto Rico, and the U.S. Virgin Islands dating from 1685 to the present. Note: some items are on Ancestry (RG85- Passenger Lists Airplanes arriving San Juan, RG 186- Foreigners in PR 1815-1845, see below on FS), some are not. New Jersey is home to the seventh largest Latino population in the US, which increased nearly 40% between 2000-2010. Benevolent society open to ‘all female Virgin Islanders; provided assistance with medical and funeral expenses. Felix Matos-Rodriguez & Pedro Juan Hernandez, Pioneros: Puerto Ricans in New York City, 1892-1998. Images of America series, Arcadia Publishing, 2001. Virginia Sanchez Korrol & Pedro Juan Hernandez, Pioneros II: Puerto Ricans in New York City, 1948-1995. Images of America series, Arcadia Publishing, 2010. Virginia E. Sanchez Korrol, From Colonia to Community: The History of Puerto Ricans in New York City, 1917-1948. Greenwood Press, 1983. 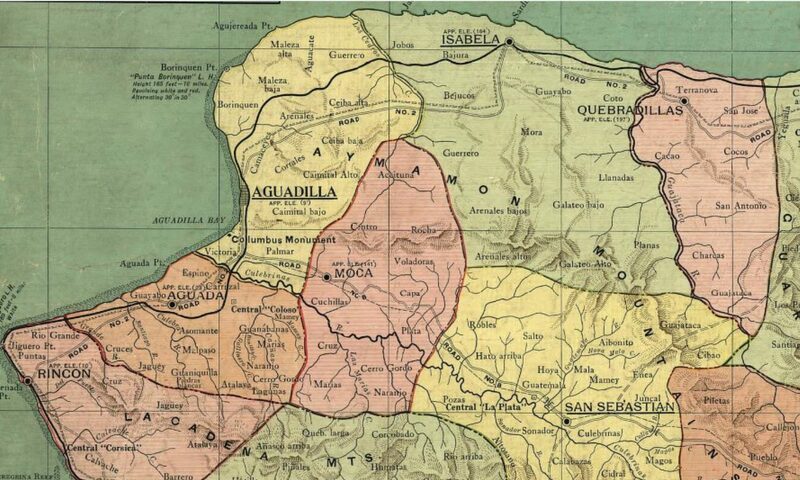 Jesse Hoffnung-Garsof, A Tale of Two Cities: Santo Domingo and New York after 1950. Princeton University Press, 2007. Regine O. Jackson, Geographies of the Haitian Diaspora. New York: Routledge, 2011.